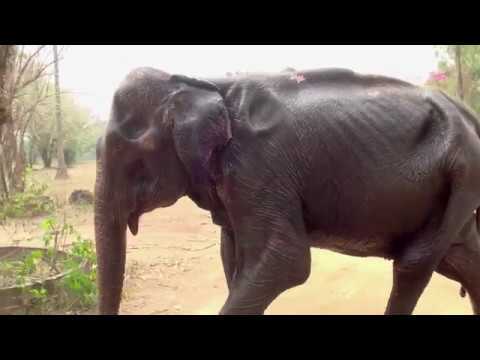 Elephant rescues in Thailand are rare, unpredictable and often life threatening. After waiting 2.5 years, actor/director Ashley Bell and a team of elephant rescuers led by world renowned Asian elephant conservationist and TIME Magazine's Hero of Asia, Lek Chailert, embark on a daring mission 480 miles across Thailand to rescue Noi Na, a 70-year old partially blind trekking elephant and bring her to freedom. African elephants are slaughtered for their ivory, but sadly the plight of the Asian Elephant has been completely overlooked even though they are the elephant we are most familiar with in zoos, circuses and elephant rides. L&B exposes the cruel secret that every Asian elephant has had to endure to become a service animal; a process knows as Pajan, aka The Crush Box. LOVE & BANANAS aims to ignite a new way of thinking about this species and shows what can be done to prevent the extinction of Asian elephants. Love & Bananas was released on Cinema 364d ago in the US. Notify me when Love & Bananas is available.